Komola Kheer aka Kheer Komola is a famous Bengali winter special dessert. Last winter I made it several times at Debjanir Rannaghar. In fact, my winter pop-up menu was also having the Komlalebur Payesh as dessert. I clicked the pictures during the pop up only. However, I did not post the recipe of Komola Kheer then. In fact, I have not posted several recipes I cooked in between. I was busy at the office and then was not doing good health-wise. Pasta was also having viral fever. In the last two months, I have hardly posted two or three recipes. 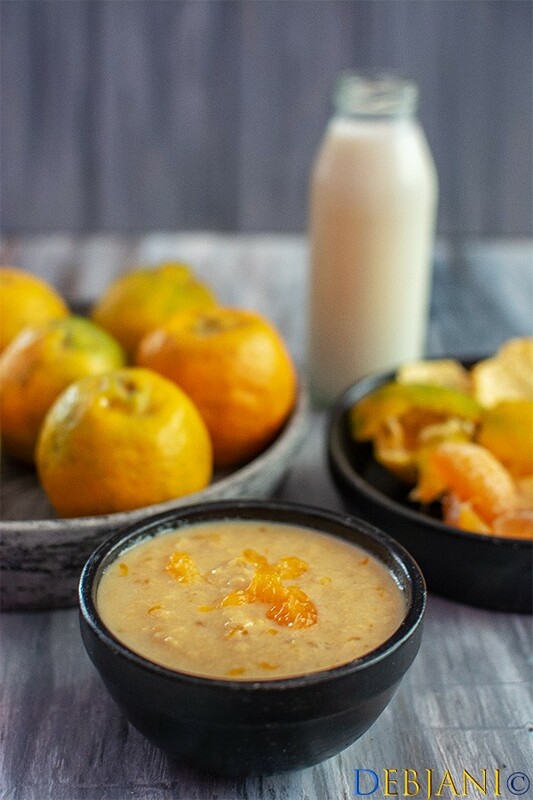 Komola Kheer aka Komlalebur Payesh with season’s last Oranges! I was suffering from conjunctivitis as well and was not in a position to make my coffee even. Maa at present is at our place and taking care of everything. There were a few Nagpur oranges in stock. Pasta was not ready to have the oranges anymore as she is enjoying the berries. Maa made a big batch of Kheer Komola with the oranges and I decided to come up with the recipe. 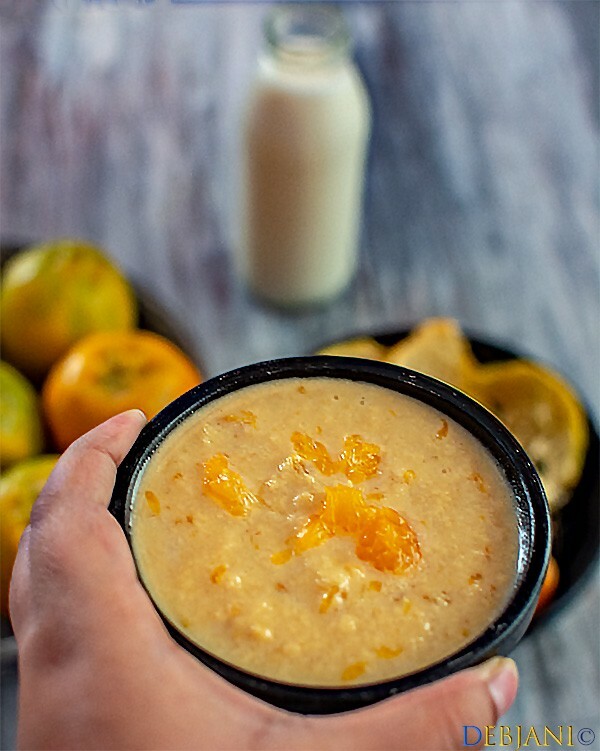 Kheer Komola; can it be prepared with orange juice instead of Orange! You obviously can, however, it is advisable to use oranges. 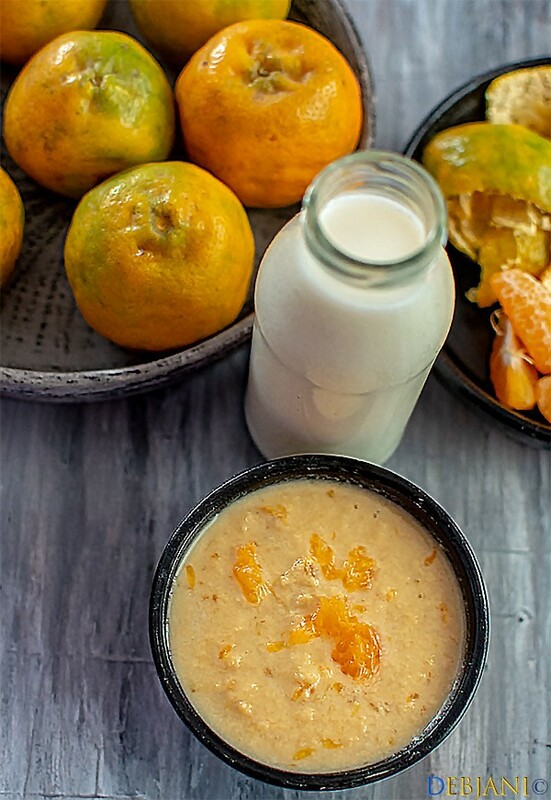 You can use either Darjeeling or Nagpur variety of orange to make the kheer. however, be very careful before using the oranges. The oranges must be sweet. 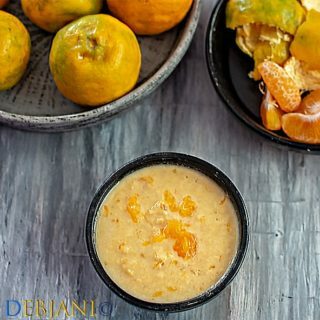 It is actually tricky to use oranges to make kheer having milk as they are acidic and may result in milk curdling if not used properly. Hence, check the sweetness of the oranges before using those in kheer. The recipe I follow for Komlalebur Payesh is from my Grandmother’s kitchen. Dida used to make it with the seasonal oranges every year. The only alteration I have made to the recipe is the addition of condensed milk. Dida never used it and she preferred to add Khowa to make the kheer richer. Here’s how I make Komola Kheer at Debjanir Rannaghar! Kheer Komola aka Komola Kheer aka Komlalebur Payesh is a Bengali style milk based orange pudding. Take milk in room temperature along with half liter water in a deep bottom vessel and start boiling the milk in low flame. Cook the milk for around 20 minutes or unless the milk reduces to ⅓. Add condensed milk and mix properly and cook for 6-7 minutes. Now add sugar and cook till it dissolves completely. Switch the flame off and wait till the thickened milk comes into room temperature. Separate orange segments and remove the seeds as well as discard the orange skins. While separating using your fingers mass a few segments as well so that there is sufficient juice. 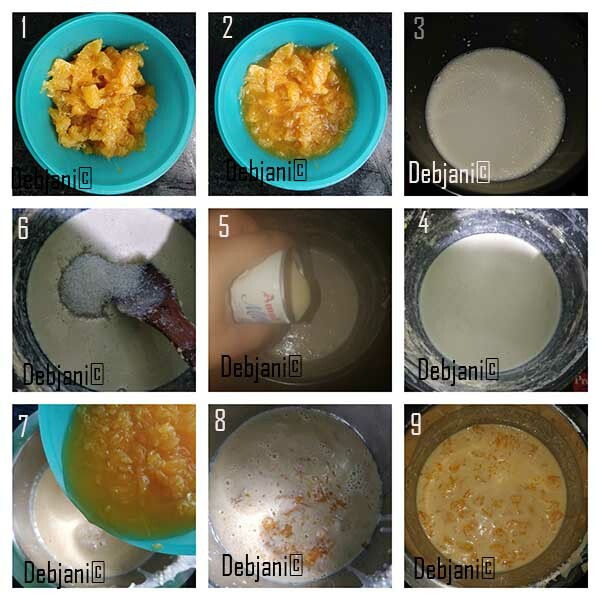 Mix the orange juice along with the segment with the thickened milk lightly. Once properly mixed either serve it in room temperature or after chilling for an hour or so. Do not overmix the oranges while mixing with the milk. This may result in curdling of the milk. I do not like to add flavoring agents in this dessert as orange itself is enough to make this flavorful. Instead of Condensed milk Khowa can also be used. Dessert Recipes from Debjanir Rannaghar! 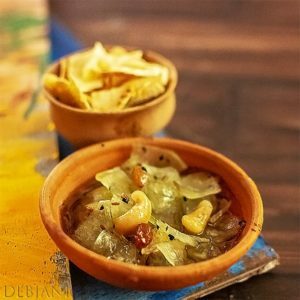 Dimer Halwa (Egg Halwa or Ande Ka Halwa); an heirloom recipe! Have you tried the Bengali Kheer Komola recipe from Debjanir Rannaghar! Here’s the Kheer Komola Pin for your Pinterest Board!